Godminster’s Organic Vintage Oak Smoked Cheddar is a vintage cheddar lover’s dream, deliciously soft and creamy, one serving simply isn’t enough - smoked to perfection with consistent flavours throughout. This certified organic vintage cheddar has a rich depth of flavour without the acidity that is sometimes associated with vintage cheddar, giving it a full and rounded flavour with a smooth and creamy texture. 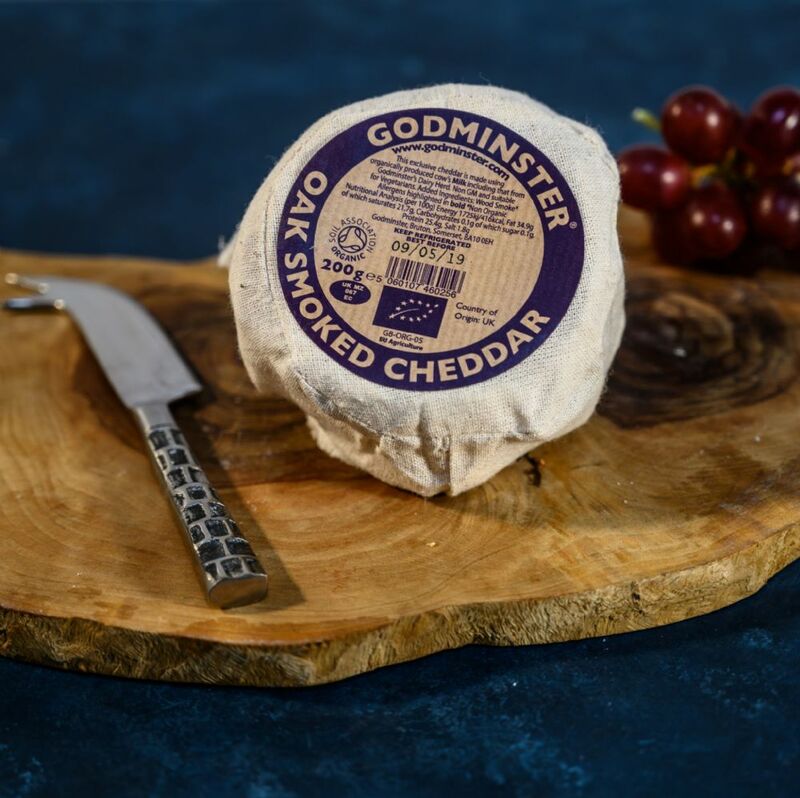 This Godminster organic vintage cheddar is matured for up to twelve months and then finished off by oak smoking. The perfect addition to any festive board.